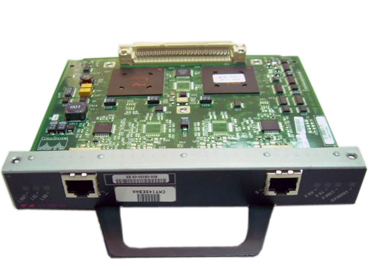 The Cisco PA-POS-OC3 provides the same level of high-switching performance as the existing Packet over SONET/SDH Interface Processor (POSIP) in a single-wide port adapter design. This allows more flexible high-performance networks to be designed with greater port density. The Cisco PA-POS-OC3 is supported on the NPE-150 and NPE-200 in the Cisco 7200, and the VIP2-50 in the Cisco 7500. The PA-POS-OC3Â is available in three physical interfaces: OC-3c/STM1 Multi-mode (MM), OC-3c/STM1 Single-mode Intermediate Reach (SM-IR), and OC-3c/STM1 Single-mode Long Reach (SM-LR). The PA-POS-OC3 supports APS (and MSP) for network designs in which the Cisco 7200 or 7500 is connected directly to SONET/SDH equipment that also supports APS such as Add/Drop Multiplexors (ADM). The PA-POS-OC3 provides fault-tolerant backbone connectivity through SONET Automatic Protection Switching (APS), also known as SDH Multi-plex Section Protection (MSP), providing overall network survivability and robustness.